DCSBA non-public information is provided on a need-to-know basis. All current Dutchess County board members and superintendents of DCSBA member boards in good standing should have been invited. This DCSBA website is operated under Google Sites and access to private information requires authentication using a Google ID. Relax, it is easy to setup! or simply Sign in below (the leftmost entry within the footer of this website). Select Create an account or click here. In the Create your Google Account page, fill in all information except: (1) you do not need to divulge your cell phone; and (2) in the second entry box from the top under "Choose your email ID", you can elect to create a new Google email address that ends with @gmail.com ==> or <== to use your school-associated or favorite email address (easier to remember! ), click on "I prefer to use my current email address" and supply that full email address. A message will be displayed that the new Google email ID needs to be verified. Go to your school email ID's inbox and open the verification email and click on the link to signup. Once the Google email ID is created, select Sign in below (the leftmost entry within the footer of this website) then next Add Account. 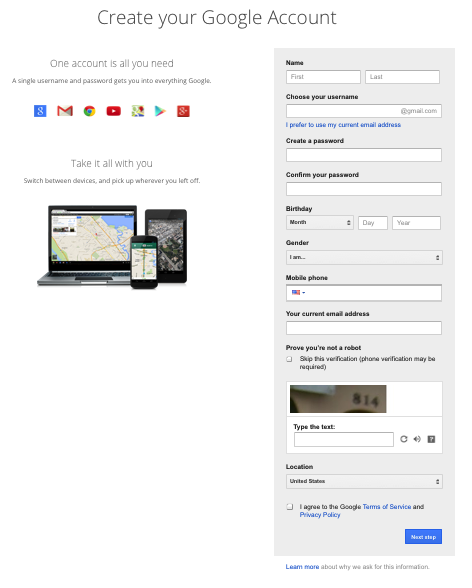 Supply the new Google email address you just created with the password you selected. Our DCSBA website's left margin will display some additional web page selections. 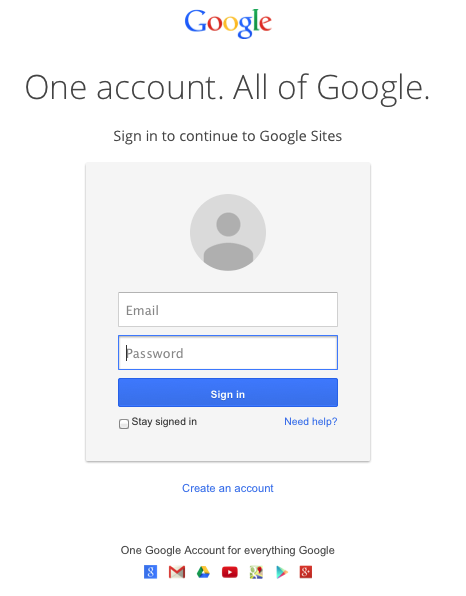 From now on whenever you Sign in (using the same web browser), Google Sites will remember your Google email ID so that you only have to enter the password.